The residents of the secret Annex were put on the train to Westerbork on August 8th, 1944. A woman named Rosa De Winter saw Anne at Westerbork and said that Anne and Peter were always together. The residents of the secret Annex were there for almost a month until they were transported to Auschwitz. Mr. Van Pels (Hermann Van pels) is gassed in Aushwitz in September or October. Fritz Pfeffer dies sick and exhausted on December 20th, 1944 in Nuengame. Edith Frank dies of exhaustion in Aushwitz on January 6th, 1945. Mrs. Van Pels (Auguste Van Pels) dies sometime between April 9th and the 8th of May 1945. Peter van Pels dies on May 5th, 1945 in the infirmary at Methausen. 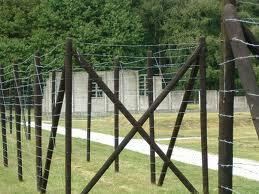 At Bergen Belsen typhus broke out and killed thousands of prisoners. Anne and Margot worked by doing jobs such as carrying heavy rocks and digging holes. The sisters had to live in broken down tents for a long time. Many say Anne would've had a better chance of surviving if the sisters hadn't been in the very front of the tent, where the wind blows on them. Anne was briefly reunited with Hanneli Goslar, who was going to be traded, so they were treated slightly better. Anne told Hanneli how she had no one. Hanneli describes Anne as bald and half starved. Hanneli believes to this day that if Anne had known her father was still alive she might've had more hope. Anne also saw Janny Brandes. 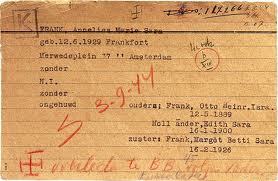 Janny Brandes was the last person to see Anne Frank. 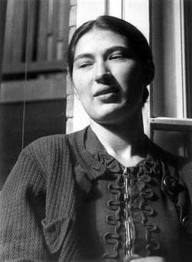 She was in Westerbork, Auschwitz and Bergen Belsen with the sisters. When Margot died from falling out of bed in her weakened state and Anne died of typhus Janny Brandes and her sister buried them in a mass grave. No one knows which mass grave it is, but there is a fake grave for them. Some other people that saw Anne Frank in her last days are Irma Sonnenberg and Marion Blumenthal Lazan. Both were in the same barracks at the same time as Anne Frank. Irma Sonnenberg recalls that Anne wrote in Bergen Belsen. We will never know what she wrote though because Bergen Belsen was burned down to prevent typhus from spreading. 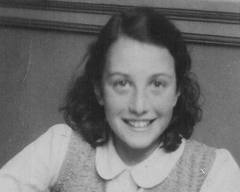 Nanette Blitz also saw Anne Frank and remembers her talking about her diary. She also remembers Anne taking off her clothes because she couldn't take the lice. Nanette Blitz said, "on the various occasions that I was able to see her in the camp, Anne told me about her diary. She said that she wanted to use it as a starting point for the book she wanted to write about what she experienced." 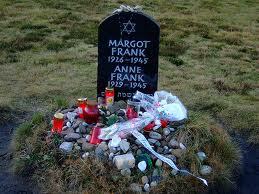 Anne Frank died two weeks before the liberation of Bergen Belsen from typhus. She was 15 years old.